The 5v Wow! 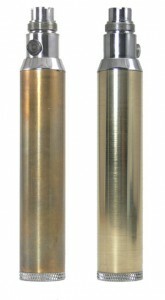 electronic cigarette mod from Clouds of Vapor is one of several new devices on the market that mix higher voltage, low cost and some design characteristics of the eGo/Riva form factor. The device delivers as promised and may be the least expensive way to try 5v in a tube style mod. The 5v Wow is well designed to fit nicely into a niche between eGo style devices and larger tube mods in terms of both size and price. At 18mm wide and 108mm long, the WOW is slightly larger than an eGo in both respects but slimmer and shorter than most 5v and variable voltage tube mods. The flat black finish of the test model appears to be durable and is offset by a chrome switch housing and polished end cap. The end cap has a firm spring that is securely attached and screws smoothly into the body. A vent hole is added as a safety feature in the event of battery leakage. The switch housing is quite similar to an eGo. With its 510 atomizer threads and eGo outside threads, the device is compatible with a wide range of 510 and eGo components. The switch itself is identical to that of an eGo and also incorporates 5-click shutoff protection as well as a flashing sequence to indicate low battery. At the heart of the 5v Wow is the regulated switch gear that supplies a consistent 5v as long as the batteries can supply it. With the right atomizer or cartomizer, 5v will produce some fantastic vapor and a nice warm throat hit. The device seems to work with a wide range of components from higher resistance cartomizers down to 1.5ohm dual coils, however the vapor with lower resistance cartos is extremely hot and flavor is lost. Two LiFePo4 3.0v CR123A batteries were originally specified, but Clouds of Vapor now specifies that LC16340 3.6v protected or IMR 3.7v batteries can be used as well. CR123A and 16340 batteries are not stellar performers in terms of capacity, but they do allow for a remarkably slim 5v device. The 5v Wow delivers just as expected for a 5v device. Flavor and throat hit is fantastic using a 3.0ohm cartomizer. Battery life is acceptable and a pair of 3v LiFePo4 batteries lasted over four hours of heavy vaping. The only issue that occurred was that the switch sometimes seemed to light up when pressed, but not actually engage the atomizer connector. The issue recurred a couple of times with no apparent cause, but will need to be watched. The 5-click shutoff and relatively small size for a 5v mod make this device an extremely pocket friendly mod. It is a very well weighted device to hold like a cigar and the addition of an eGo cone completes a simple but good looking package. The 5v Wow! from Clouds of Vapor is a great little 5v device, especially at the low price of $24.99 for the mod itself. Add batteries and a charger and it still comes in at less than $50. The sturdy design, ability to use various batteries and the on/off feature make it an even better deal. 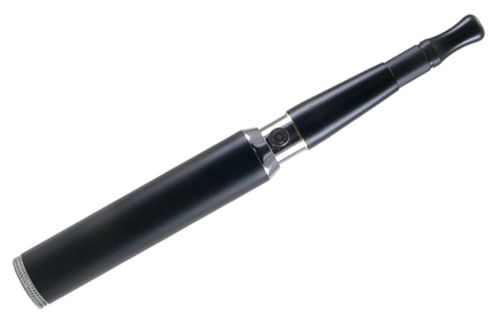 This device would be a great choice for any vaper wanting to try 5v. I’ve had the 5V Wow for several months now and it remains one of my daily vapes. The size and on/off feature make it a perfect mod to toss in a pocket and that treatment has exposed one flaw. Like many eGo style batteries, the paint chips off relatively easily. Unlike an eGo, however, the Wow has a brass cylinder underneath that paint. Once the paint on mine started flaking, I sanded the whole thing smooth and polished the brass with great results. I love the look of this thing in brass, particularly with a titanium cone. The brass does require a quick polish every now and then as you can see in the before and after picture above. I have a total of 5 VV mods including a couple of Lavatubes and the 5v Wow has become my go-to PV. Excellent build quality and finish. That’s quite some testimonial, Errol! Interestingly, in our personal conversations about mods, Eric hasn’t mentioned this one to me. He and I both are enamoured with the Kick (used in any good 18650-based mod) and we still very much enjoy our LavaTubes. Great review as always, Eric! Sounds like a wonderful device for ~3 ohm cartomizers … especially at that price. I remember paying around $125 for my 5V Prodigy V1 way back when. We’ve come a long way.